Dr. Sara Pavan is an Anaesthesiologist from Australia, who came to Baba in 1980 and has been residing in Prashanti Nilayam since 1993, serving at the Sri Sathya Sai Institute of Higher Medical Sciences. He was the editor and publisher of the Australian quartely Sai Journal from its inception till 1992. Can a disciple die in the Master's presence, that is, when the Master is alive, irrespective of the physical distance? The question is not whether one is in the immediate presence of the Master or far off, but whether one is filled with Love and Trust for the Master. The real closeness is only through Love and Trust. Then one can be even on the moon, but the Master will be by your side, the Master will be within oneself. As the disciple’s love for the Master deepens, something of the Master - His energies - start melting and merging with the energy of the disciple. The fear of physical distance only reflects the lack of understanding. 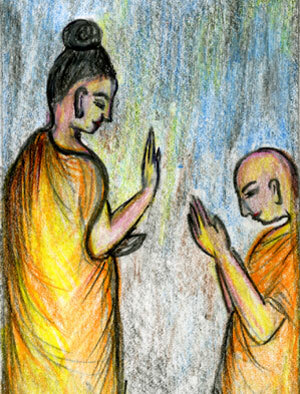 Mahakashyap was a true disciple of Lord Buddha and he experienced such real closeness. Each person has his or her individual degree of nearness and dearness, love and trust, towards the Master. Mahakashyap remained in such closeness with the Master all through his life until the Buddha’s life ended, when he too left his body, because he could not survive in separation. That is Mahakashyap's uniqueness, his oneness with his Master. 1. That he would always stay with the Master and that He shouldn’t be sent anywhere to spread the Message. 2. That the Master would meet anybody he brought along, even in the middle of the night. That this personal privilege would not ever be denied. 3. That he would always sleep in the same room as the Master sleeps, that he would not be moved away from the Master even in sleep. The Buddha gave His promise, and these three conditions were adhered to fully all through the years. But Ananda did not become enlightened. One could understand Ananda’s pain and anguish because those disciples who had come long after him became enlightened, while he remained in his ignorance just as he was before. Eventually, when the Buddha passed away the enlightened disciples convened a meeting to write down everything the Master had taught them over the years. However, Ananda was not permitted to take part in the meeting because he was deemed ignorant and unenlightened. Others, though enlightened, were also disadvantaged in that none of them had been so close to the Master continuously as Ananda had been. But, they still doubted Ananda’s reliability – whether he had understood the Buddha’s Messages correctly or if he would make up things with his own imagination; whether he remembered everything accurately, or if he would give his own interpretation on what the Buddha had said. Ananda was asked to sit outside the conference room and make himself available just in case something needed confirmation. It was a difficult situation and the scene was really tragic. The meeting was held behind close doors. Left out in the ‘cold’ Ananda was in tears because he had lived with the Buddha for forty-two years and actually knew more than the other disciples. In spite of him remembering each and every moment with the Master, Ananda was not allowed to participate in the meeting because they deemed him unfit. Something transpired as he sat outside crying. Ananda had never cried in his entire life. With those tears his ego was washed away and he became like a child.When the disciples came out of the conference room they saw Ananda still sitting outside, but he looked transformed and radiant. The old Ananda, the old egoistic person had vanished. They saw an innocent being with tears of joy and they all could see the light surrounding him. With great joy they invited Ananda inside. They were bewildered by the fact that Ananda could not attain enlightenment for forty-two years in spite of his close proximity to the Buddha, but no sooner had the Master departed he attained that state, exactly as the Master had continuously remarked. 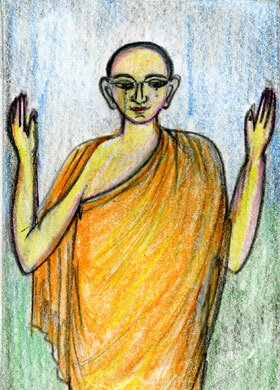 The Buddha’s departure alone brought about the death of Ananda’s ego. Ananda’s contribution to the recollection of His teachings was immense. So it is not a question of one person being decisive. Each person has to be unique in his own way. Somebody dies for the Master, somebody lives for the Master, and others become enlightened only after the Master is no more on the physical plane, each a unique individual. You cannot say who is greater - perhaps no comparison should be made. All are themselves unique and inimmitable! Just remember one thing - your love. Then wherever you are, near or far in space and time, it does not matter. And, beyond a certain level, even time does not matter. When time and space become immaterial, then you have really touched the feet of the Master. Then whatsoever transpires in you – whether to live for the Message of the Master or to die with the Master, whatever comes naturally and spontaneously to you - let it happen. 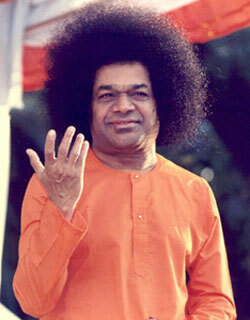 “What has all this got to do with us?” devotees of the Kali Yuga Avatar, Bhagavan Sri Sathya Sai Baba may ask. 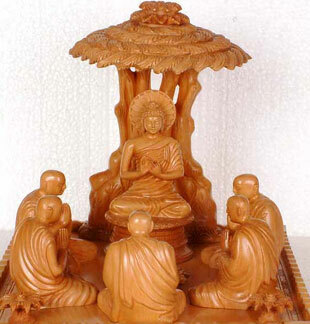 Well, the story in its subtleness reveals the different kinds of disciples the Buddha had, each one with his own uniqueness. In comparison to the millions who follow our Beloved Lord Sai, Sai Buddha for the Buddhist Sai devotees, more than two and half millenia ago the Buddha must have had less than a few hundred of disciples, nay even less. But, the story has a powerful message for all of us, the countless millions who aspire to be, or believe they are devotees of Bhagavan Baba. Yes! The winds of change are intense. The real Master-Disciple connection is inside and beyond the limitation and boundaries that the body may define. What we are about to witness and experience in the Divine Mission of our Messiah, God in our midst, is the quantum leap in awareness of the Eternal Oneness with Him, the very One within each one of us, the force of Love, Light and Splendour. In conclusion, my prayer to Bhagavan is to ask Him to forgive us for all our erroneous thoughts and feelings that hold us back and prevent us from dissolving into His Supreme Self, the All-pervasive Consciousness. You are our only destination Lord, and You alone can guide us through. May the “Inner-Voice” that is You, be heard loud and clear each day.